Do you need to build a mobile web site for your small business? The browsers built into the new smartphones tend to be more technically advanced than the browsers on most desktops. Many people never upgrade their desktop browser and keep their computers around for a long time. Smartphones are frequently automatically updated by the service providers and people tend to get new phones every 2-3 years. Sometimes it’s better just to make sure your existing web site works well on Smartphone browsers. You should work with a technically savvy web development firm (hint hint). Your web developer should be using web standard code, and ensuring that your site functionality works on mobile browsers. 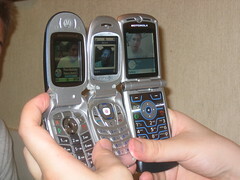 Mobile browsers have small screens. Don’t use tiny text or put controls close together so that users have to zoom excessively. Mobile connections are mostly slower than wired connections. Web site performance is key. Plug-in based animations (like Flash or Sliverlight) may not work on the majority of platforms – avoid them except for progressive enhancement. The main reason to consider building a mobile-specific web site is that you are building a mobile web application as a line of business. Examples might be the check-in services Gowalla or Foursquare. Most mobile browsers allow for geolocation (getting your location using GPS or triangulation from cell towers or wireless access points). There are also a lot of web applications that use the mobile camera, or allow interaction with the phone itself. If you don’t need these features, you probably don’t need a mobile web application.